Small SSD drive in your Lenovo ThinkPad/IdeaPad Yoga 13 laptop? The professional yet free software-AOMEI Backupper Standard will upgrade Lenovo ThinkPad 13 SSD drive to larger one without losing data in Windows 7/8/10. I have just ordered a Lenovo ThinkPad 13 laptop, I am happy with all of the specific parameters except for the 256GB SSD drive, which seems too small for my daily use as my main computer. I wonder can I upgrade the 256GB SSD drive to a 1TB SSD. How can I upgrade successfully? Please give me some tips about this replacement, Thanks. First of all, you have to know enough about Lenovo ThinkPad. ThinkPad was originally designed by IBM until Lenovo acquired the ThinkPad brand in 2005. ThinkPad is a line of laptop computers and tablets. So far, Lenovo ThinkPad has several product series for users, like Lenovo ThinkPad Yoga, IdeaPad Yoga 13, X220, T410, X1 Yoga, X201, 13, etc. As for Lenovo ThinkPad 13, it’s designed for professionals, students, and educators alike. It can sustain a whole day for 11 hours. However, you may discover the snap-in SSD drive (as boot drive) is quite small for your daily use. Under some conditions, you have to upgrade Lenovo ThinkPad 13 SSD drive for long run, maybe you can refer to IBM ThinkPad hard drive replacement. It’s kind of easy for experts, but what should do you do as a greenhand? What SSD will be compatible with Lenovo ThinkPad 13? As we all known, SSD is more portable and reliable to use due to its excellent performance. However, there are different SSD drives according to the connector interface. To figure out which type of SSD drive can be used in your Lenovo ThinkPad 13. According to the specifics of Lenovo Thinkpad 13, a PCI-E SSD or M.2 SSD can be used in ThinkPad 13. Or conduct your manufacturer if you are not sure. Now, we will take a closer look at the PCI-E SSD and M.2 SSD. M.2 SSD drive is a bare circuit as well as mSATA SSD. It supports both SATA and PCI-E interface. In other words, there are a variety of different width and length combinations, allowing for more flexibility in its usage. PCI-Express (PCI-E) SSD uses the PCI-E interface. The PCI-E SSD is the most expensive but also offers the best performance. Compared with these two types of SSD drive, the M.2 SSD drive could be your best choice. Then how to upgrade SSD for Lenovo ThinkPad 13? How to upgrade Lenovo ThinkPad 13 SSD in Windows 7/8/10? Free download AOMEI Backupper Standard, which is a perfect software to do Lenovo ThinkPad 13 SSD upgrade in Windows 7/8/10. Generate a new larger M.2 SSD drive that is compatible with Lenovo ThinkPad 13. 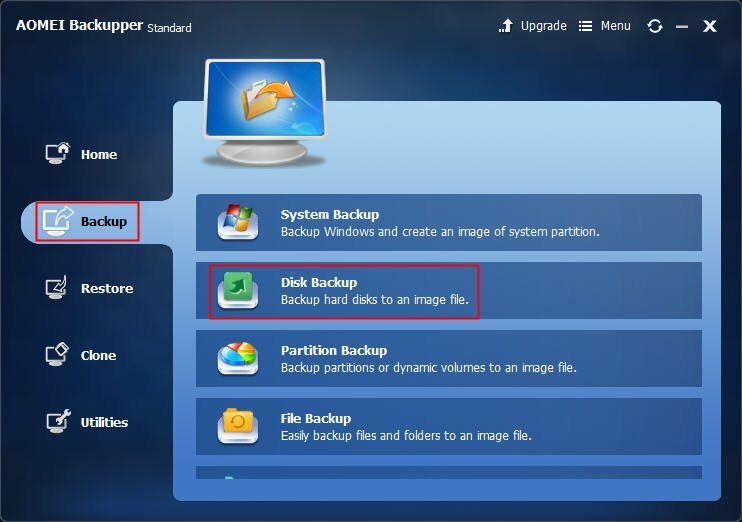 External hard drive to store disk backup image. A USB bootable media created by AOME Backupper Standard. First, connect the external hard drive to your Lenovo ThinkPad 13, install and run AOMEI Backupper Standard to its home window. 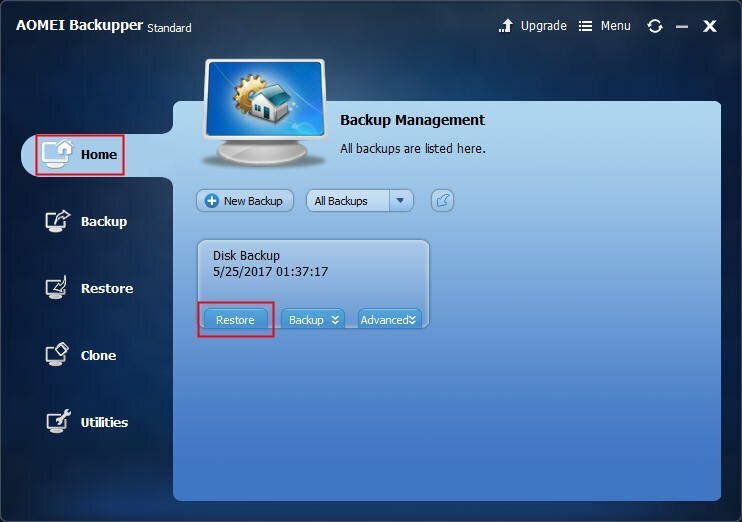 Select Disk Backup under Backup column. Second, edit the Task Name to differ from other backups. 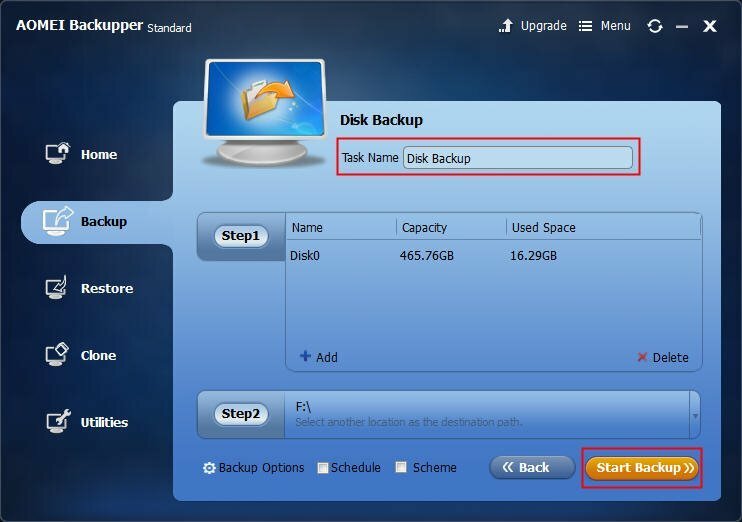 Third, choose the Lenovo original SSD drive as source disk in the Step1 and select the external hard drive as target disk in the Step2, click Start Backup. 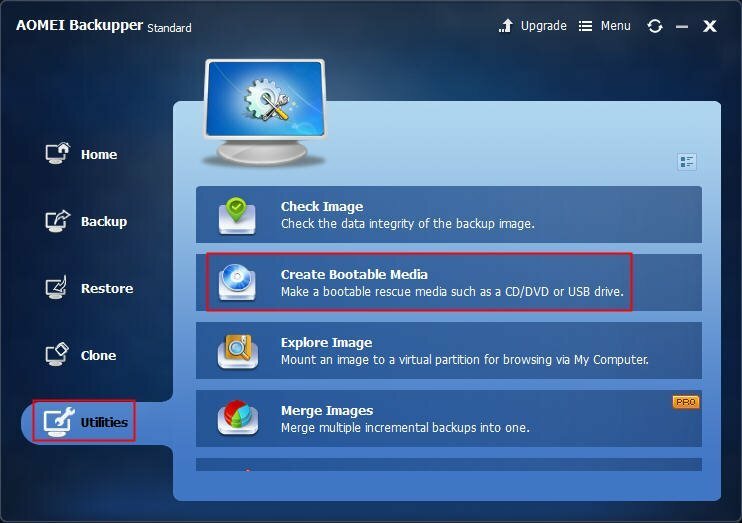 After backing up data completed, create bootable media with this program. On its main window, select Utilities>Create Bootable Media, then follow the instructions to create bootable USB drive. Then shut down your Lenovo Thinkpad 13, using extracting tool takes out the original SSD drive carefully, then put the new larger M.2 SSD drive into the slot. At this moment, boot your Lenovo ThinkPad 13 with the bootable USB drive into WinPE environment. On Home tab, find the disk backup and choose Restore. Then follow the prompts to operate, ensure you set the larger M.2 SSD drive as the destination. And you could restore all the data to larger M.2 SSD drive. The spending time depends on the data size. Until now, upgrading SSD drive for Lenovo ThinkPad 13 has been finished. This freeware can also help you to clone disk if your computer has two hard drive slots. Besides, AOMEI Backupper Professional provides you to clone system, dissimilar hardware restore, merge backup images, and create PXE boot tool, etc.